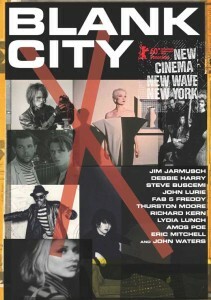 The documentary Blank City is currently enjoying a successful theatrical run at the IFC center in New York. Directed by French newcomer Céline Danhier, Blank City weaves together an oral history of the “No Wave Cinema” and “Cinema of Transgression” movements. JG Thirlwell is interviewed in the film regarding his involvement with R.Kern’s Deathtrip Films and the Cinema of Transgression. It also features interviews with Jim Jarmusch, John Waters, Steve Buscemi, Debbie Harry, Richard Kern, Nick Zedd, Amos Poe, James Nares, Lydia Lunch, James Chance, Eric Mitchell, Susan Seidelman, Beth B, Scott B, Charlie Ahearn and many more. Clips featuring Thirlwell’s scores for Kern’s Deathtrip films appear in the documentary, along with many other illuminating extracts from the films of that era. Click here for the New York Times review of the film.